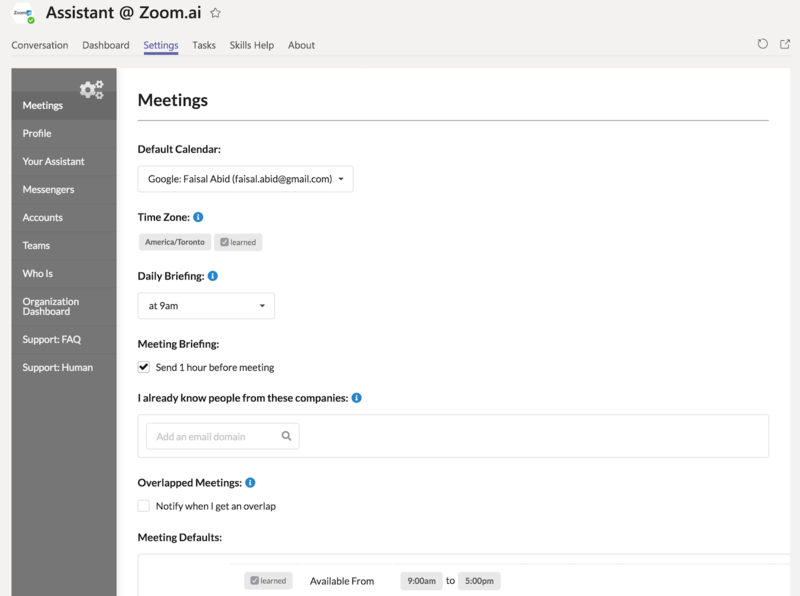 Now you can access Zoom.ai settings inside Microsoft Teams. Instead of opening your browser, you can see all your preferences right where your conversation is. Zoom.ai is available for Microsoft Team here.